Everyone will be delighted with numerous fun things to do in Panama City Beach that can fit a variety of budgets as well as schedules. Families will be delighted with excursions that range from dolphin watching to swimming with dolphins to sailing on a replica pirate ship where you can sing and swab the deck. Adrenaline seekers will like parasailing into the blue skies above and taking an airboat adventure at high speeds while watching for alligators. Water enthusiasts will be pleased with a pontoon rental that can take you to a secluded beach or a catamaran sail where you can lounge and enjoy the sunset. Outdoor lovers can go on a fishing tour or you can decide for a little exercise while trying out stand up paddleboarding and when you want to explore the underwater world the scuba diving is superb. One of the most popular things to do in Panama City Beach for all types of travelers including families that wish to enjoy the natural marine life in the area is to take a Dolphin Watching Tour. Everyone will be excited when they spot their first dolphin that is playing joyfully in the turquoise waters of the Gulf of Mexico. 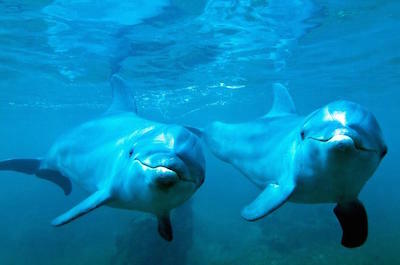 Children will laugh as the dolphins swim close to your sailing vessel as they travel in their natural habitat. There are a variety of places you can watch these spectacular animals that include Shell Island, St. Andrews Bay or on the open water of the Gulf of Mexico. You have several transportation options which can decide to use that range from a pontoon boat to a catamaran and you can even add-on a snorkeling adventure. 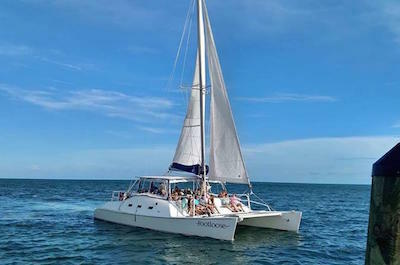 Catamaran Sailing Tours are the perfect thing to do in Panama City Beach when you are ready to enjoy a supreme time on the water that will have you relaxing while soaking in the beautiful waters of the Gulf of Mexico. There are several fantastic excursions that will have you out on the turquoise waters lounging under the sun and watching the incredible views of the natural and built environment from a perfect vantage point that will leave you with lasting memories. You will have plenty of opportunities to view the interesting marine life that includes dolphins, sea turtles and hundreds of coastal birds. Families will be pleased with add-on items such as kayaking or snorkeling near Shell Island and couples will be delighted with a sunset sail that will have you breathless looking at the beautiful blue sky turn to a canvass of incredible colors. 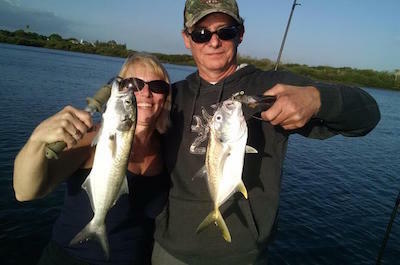 Fishing Tours is a great thing to do in Panama City Beach for people including families that want to try their hand at catching some of the biggest and fiercest fish in the world. Whether you are a novice or expert there are numerous excursions that will have you dipping your line in search for that huge fish which will have you telling tales for a lifetime. You can decide on an inland tour that will have you fishing the grassy flats of the St. Andrews Bay or the Port St. Joe area where you will have the opportunity to catch fish such as tripletail, flounder, trout and redfish. Deep sea excursions will have you catching snapper, grouper, amberjack and even an occasional shark. These tours include all the necessary equipment and your captain will know exactly where to take you on your fishing quest. The best thing to do in Panama City Beach for people who want to explore the underwater world that exists in the Gulf of Mexico is to take a Scuba Diving Tour. There are a variety of excursions that can accommodate open certified scuba divers as well as novices who are just starting out exploring the incredible underwater world. Open water certified divers will be pleased with a chance to explore a shipwreck as well as other sunken features of man that have been consumed by the Gulf of Mexico and are only visible underwater. If you are just beginning to learn about scuba diving then you can take a course to help you further your quest of underwater exploration. Added bonuses on these excursions include swimming with stellar marine life like dolphins, sea turtles and a variety of fish. If you are interested in trying one of the hottest things to do in Panama City Beach that will have you on the water and exploring beautiful beach areas then you should go Stand Up Paddleboarding. These excursions are fabulous for beginners to experts that want to get out on the water for some exercise, sightseeing and just plain fun. 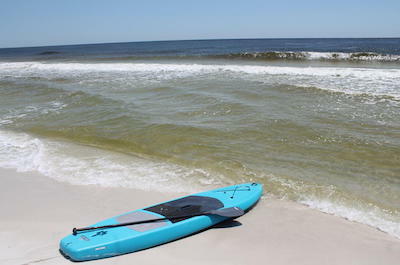 You can choose to have your stand up paddleboard delivered to your location for the day where you can set your own agenda of exploring places like the South Walton’s coastal dune lakes. Other options include a guided tour down Holmes Creek to Cypress Springs where you can enjoy swimming, snorkeling or just paddling while you take in the incredible scenery. 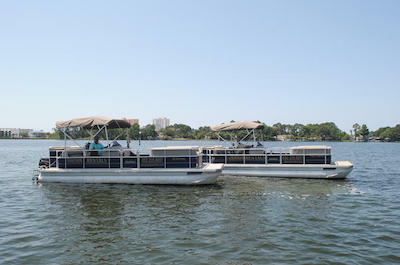 Whether you are searching for a relaxing beach, a lively party atmosphere or perhaps dropping your fishing line into the Gulf of Mexico then a great thing to do in Panama City Beach is to rent a pontoon boat. You will be delighted with a pontoon rental that allows for up to 12 people to enjoy a day on water viewing the bottle nose dolphins until you reach your destination which can include a stop at a secluded pristine beach where you can relax and go shelling. Other activities include diving off the side of the boat into the Gulf of Mexico to go snorkeling, trying to catch that fish of your dreams or you can simply just enjoy the beautiful scenery of the landscape as well as the gorgeous hues of blue water. One of the best things to do in Panama City Beach for families who are looking for a unique experience with marine life should try Swimming with Dolphins at Water Planet USA. The family will be thrilled to find out all of the different conservation methods that are being creating to help protect the numerous species of marine life that are threatened. These excursions are perfect for families that have disabled children as well with tour options that are therapeutic and filled with love. While you are on these tours you will enjoy a boat ride to Shell Island, shelling on the shoreline, visiting a marine wet lab and searching for boat wrecks. Whether you are interested in putting a smile on your child’s face through an interactive experience with dolphins or you just want to learn more about the marine eco-system these excursions are superb fun. When you are ready to hit the high seas in search of a great time and hidden treasures then the perfect thing to do in Panama City Beach is to go on a Sea Dragon Pirate Cruise. These 2-hour excursions are ideal for families that are searching to experience the life of a pirate while you learn the code of a pirate and look for hidden treasure. Children will like firing the Kid Cannon, sword fighting, face painting and learning how to read a treasure map as well as receiving removable pirate tattoos. As you cruise the high seas of St. Andrews Bay you will be pleased with the marine life you can watch in their natural habitat such as bottle nosed dolphins. Adults should try the sunset pirate sunset cruise where you can dance, enjoy some pirate punch and watch the sky melt into a plethora of pastel colors. If you are interested in a real life Everglades experience then the best thing to do in Panama City Beach is to take an Airboat Adventure. These adrenaline filled excursions are packed with fun and wildlife as you cruise through the waters in a high powered airboat that will take you to the middle of the excitement. There are a variety of tours available that will have you glided over the water at high speeds while you view the incredible scenery that includes ospreys, bald eagles, dolphins, herons and you will get up close to American alligators. You can choose from a variety of departure times during the day that fits everyone’s schedule and for a unique look you can try a sunset excursion where you will watch the blue sky turn into a canvass of pastel colors before the nocturnal wildlife spring to life. When you want to mix some adrenaline with incredible scenery then an ideal thing to do in Panama City Beach is to try Parasailing. Your heart will be thumping as you climb aboard the boat and get hooked up to your parachute that will have you soaring through the wild blue yonder. While you are flying you will have a bird’s eye view of the beautiful white sand beaches that dot the coastline as you reach heights up to 1,000-feet into the blue skies. This activity is also perfect for marine life sightings that include dolphins and sea turtles as well as hundreds of feathered friends that call area home. An added bonus on these excursions is a boat ride that will have you cruising over the gorgeous turquoise colored waters of the Gulf of Mexico before you lift off into the wild blue yonder on your adventure.